flowers for flower lovers. 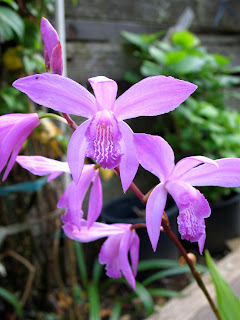 : Bletilla striata Chinese ground orchids flowers. First, the corm of this ground orchid sprouts a clump of pleated, upright leaves from which pencil thick flower stems arise. Bloom spikes bearing 6-12 buds push up from the tips of these stems. The buds open from the bottom to the top of these racemes in the spring. Several flowers will open at once and each spike will remain in bloom for more than a month. The slightly fragrant flowers bloom pale pink to magenta. 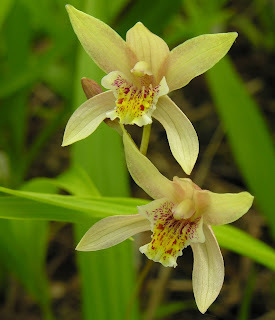 There is a white flowered Bletilla striata Alba. The lip of each bloom features several striations (hence the species name) and a ruffled edge which is usually darker than the rest of the bloom. They somewhat resemble miniature Cattleya flowers. 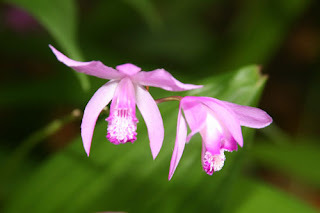 The Chinese ground orchid Bletilla striata syn. 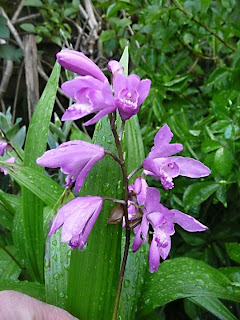 Bletilla hyacinthina(sometimes called the hyacinth Bletilla) is a hardy orchid. Bletilla orchids can be found growing wild in the sandy soils of Tibet, China and Japan. 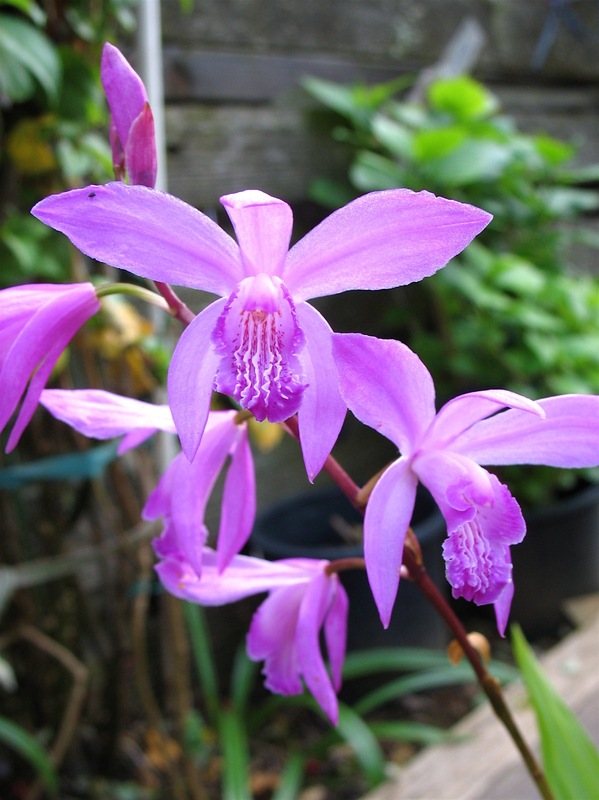 The hyacinth Bletilla grows to a mature height of 12-24 inches. It is well suited to pot culture but will grow just as well in the ground in fast draining soil. Its fragrance makes it a desirable house plant. Place it in bright light indoors, high shade or morning sun is better outdoors. Plant the corms 4 inches deep in the spring. Keep the planting area moist throughout the growing season and these terrestrial orchids will naturalize. Divide the clumps every 3 years to keep them from becoming too crowded and to propagate the plant. Ripe seed can also be used for propagation. In the deep south, the plants may bloom during the winter. Cover them on frosty nights to keep the flowers from freezing. Labels: Bletilla striata Chinese ground orchids flowers.